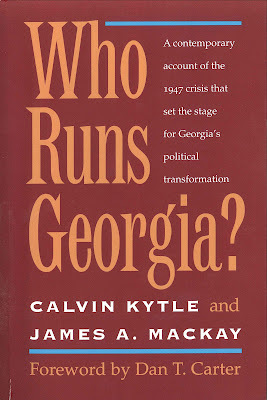 If you care about the messy similarity of politics and sausage making, I recommend you read Who Runs Georgia? Calvin Kytle and James A. Mackay’s book—about 1947 politics—underscores that Gold Dome hijinks haven’t changed much in the past 72 years. Not only did I reread the paperback; I bought a dozen copies to distribute. The recurring theme is that big money of big businesses has a big say in how Georgia was run back then and today. Delta is an example. The airline stacks billions of dollars on its bottom line. That’s good for our state’s economy, employing thousands of Georgians. We are proud to have Delta as a part of Georgia’s brand. When I fly, Delta is my first choice. I show my loyalty and appreciation for a Georgia-based company. Delta—with its enormous profits—has, again, rattled its tin cup under the Gold Dome to get an estimated $40 million jet-fuel tax break. Why? The simplest answer is that Delta knew it could ask, twist the right arms and receive. Other airlines benefit, too. Read about that kind of behavior in Who Runs Georgia? Georgia Power is another example of “who runs Georgia,” since way before 1947. Look at what’s happened in 2016, 2017, 2018 and 2019. Every proposed bill pertaining to coal ash has been gutted or killed. Nothing moves out of the House’s committee on Natural Resources and Environment unless it gets Georgia Power’s stamp of approval. The Senate’s committee reflects the same. In the 1930s and 1940s, Fred Wilson, assistant to the president of Georgia Power, was known as the company’s General Assembly “fixer.” He reportedly “controlled” at least 50 men in the legislature, whom he could count on when his company came under fire. Fred Wilson is dead, but the utility giant’s “fixing” strategy still lives. Who Runs Georgia? tells of Georgia Power’s historical practice of retaining hordes of lawyers and lobbyists, even if they aren’t used. The ploy of the past is the same plan today—to keep those people from working against them. When the company got special-legislation protection on cost overruns at Plant Vogtle, an estimated 80 lobbyists were employed. In 2019, you’ll run out of fingers and toes counting Georgia Power’s registered lobbyists. I could count at least 30 influence peddlers. There appears to be no limit on spending for lobbyists. Consider Newnan and Coweta County, home of Rep. Lynn Smith. She chairs the House’s Natural Resources and Environment committee. Georgia Power has a coal-fired plant in Newnan, along with leaking toxic coal-ash ponds. Arthur “Skin” Edge, an attorney/lobbyist, also lives in Newnan. Georgia Power knows the value of having Edge and others—well-connected and powerful—on its payroll. That’s why former Gov. Nathan Deal and his chief of staff, Chris Riley, are expected to be retained as lobbyists, too. I was warned, “Rep. Smith doesn’t like to hear from people outside her district. It makes her mad.” Because she refuses to answer my emails—requesting an appointment—that assessment seems to be true. Georgia’s natural resources and environment are not the property of just House District 70. Those precious assets belong to 10 million Georgians. All voices should be heard. Just as I enjoy supporting and flying on Delta, I really appreciate the good Georgia Power does. 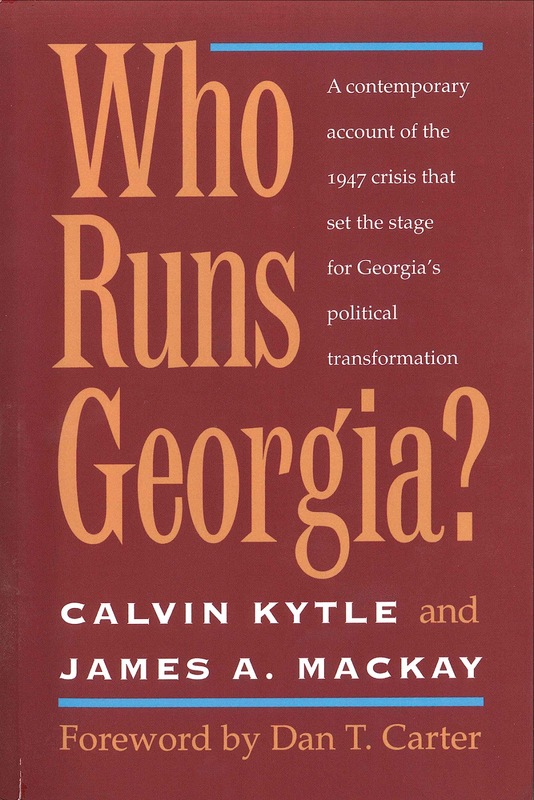 We need strong corporations to enhance our state, but it’s time to cleanse the messy sausage making of laws, as outlined in Who Runs Georgia?